We were lucky enough to be able to renovate the kitchen and family area for this Ponte Vedra Beach home. 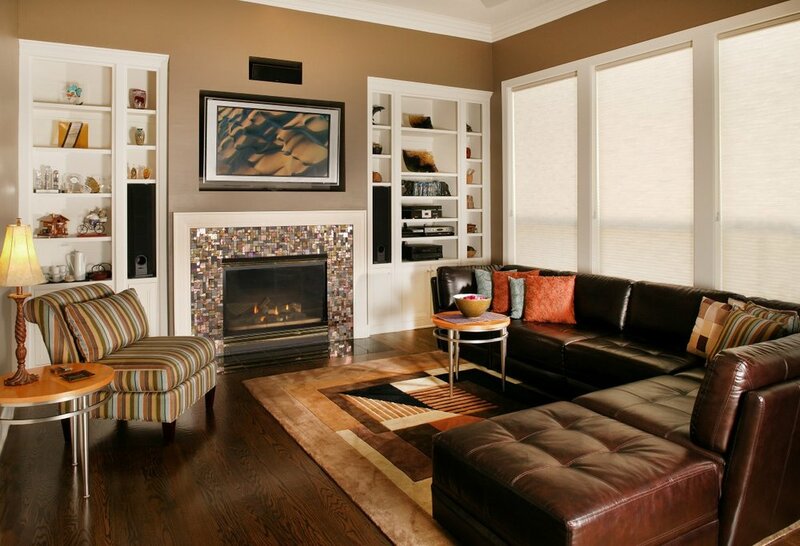 Throughout the renovated space, dark tones are used and create a very warm and inviting feel. The dark hard wood floors, warm paint, deep brown furniture, and dark counter tops create a stark contrast to the white cabinetry that is used in the kitchen. The tile work around the fireplace and built-ins on either side complete the warm and luxurious feel.